ANCEL AD310 is a great upgrade from the more basic diagnostic Code Reader. The major function of this scanner is detecting the Engine System, read and clear the error codes. Once plugged into your vehicle’s 16pin OBDII DLC, the unit will power up and prompt you to start your ignition. 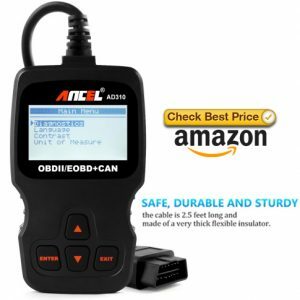 If your vehicle has a Check Engine Light comes on, you can use Ancel AD310 scanner to read the error codes, find out what the problem is, and perhaps fix it. 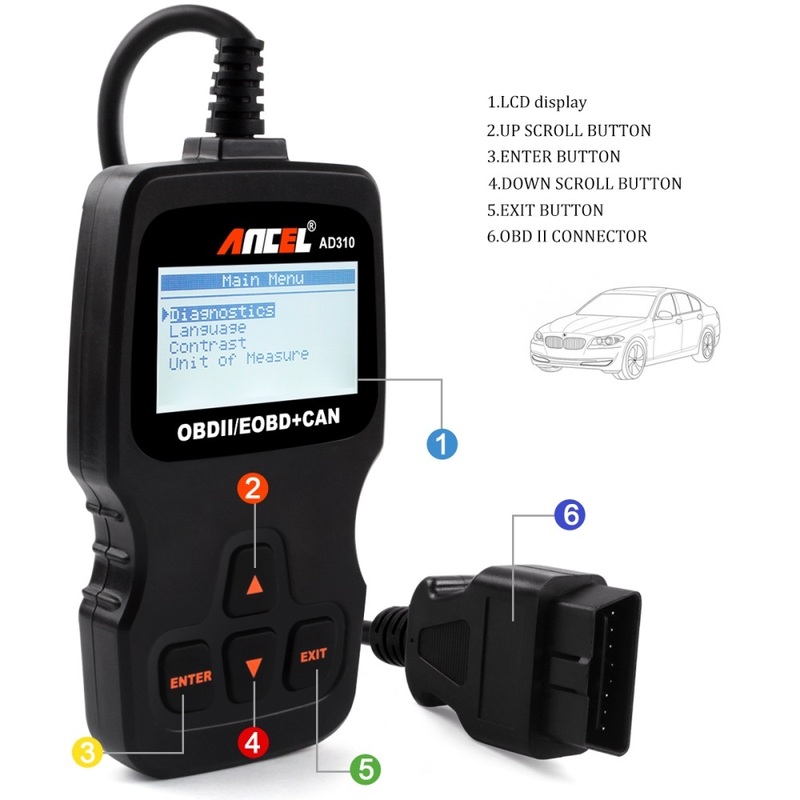 It’s a most powerful, affordable and easiest to operate OBD2 scan tool for DIY customers. Once plugged into your vehicle’s 16pin OBDII DLC, the unit will power up and prompt you to start your ignition. However it may not works on some special cars without OBD2 protocol, so please do not hesitate to contact us first before you make a decision to place the order. Q1:Does Ancel AD310 work for a 2011 Ford F250 gas? A1:Yes, it will work for a 2011 Ford F250 gas. Q2:Will it diagnose abs system? 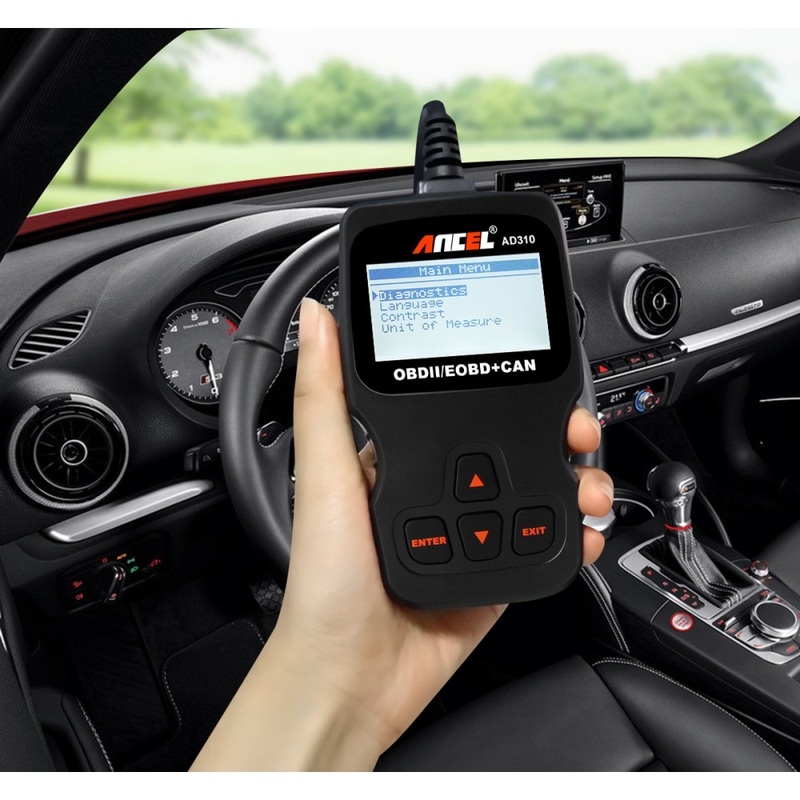 A2:The major function of this Ancel AD310 scanner is detecting the Engine System, read and clear the error codes. Sorry, it can not diagnose ABS system. A3:It will work on 2004 nissan xtrail but not 100% guarantee on this model. Please contact us for return and full refund if it’s not compatible, our Company offers 100% satisfaction of customer service. Thanks. 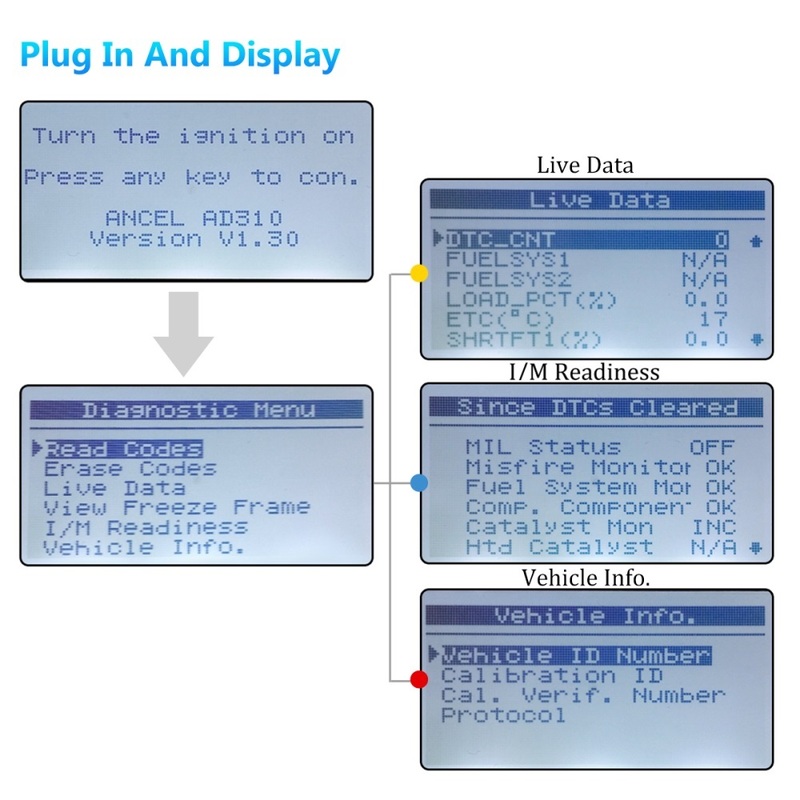 The Only OBD2 reader you’ll ever need. The engine check light on my dash came on, so I stopped by the Honda dealership to see what the issue could have been. Of course, I was told there would be a $95 charge if I wanted them to pull the code which would’nt of have covered any labor or parts if needed. I decided to leave and ordered the Ancel AD310 OBD2 Reader which arrived the next day. I read the manual, plugged it in and sure enough a code appeared. It even had a description of what the code meant and which part most likely would have to be replaced. I did some further research online and figured out what I had to replace in order to get rid of the check engine light. I would definitely recommend this product for anyone needing to pull codes when that check engine light comes on. Save yourself some money! Get the parts yourself and maybe even do the labor on your own if you’re able to! If you want more information please check on our Amazon Shop.